With the winter season just around the corner, it is high time to start looking for snow tires again. Let us face it; snow tires are not cheap – but with a little research and due diligence, you can save a lot on your next purchase. Here in Canada, the snow can get pretty intense that makes winter tires a significant extra cost to owning a car. Instead of despairing them as an inevitable cost of driving in Canada during winter, vehicle owners should consider winter tires as a consumer issue where savvy consumers can get the greatest deal while keeping themselves safe on icy and snowy roads. A variety of different manufacturers of tires saturates the motor industry, all clamoring for our cash and continued loyalty. The increase in specific size coverage and the mail-in rebates abound means more competitive prices and a much larger selection. Although the initial cost of snow tires (particularly with the purchase of select winter rims) can be significant ($800-$1,500 for modern mainstream cars), their use can significantly save tread-wear on your summer set. First and foremost, size matters a lot. It is always advisable to review how the tires are sized. Essential, it involves three physical major dimensions and speed rating and a load. On the sidewall of the tires, you will find an embossed set of letters and numbers designating its specs (you will always require this before calling a dealer to check their prices). It often appears like this: LT265/70R17 or P225/75R16. The LT and P stand for light truck and passenger tires, respectively. The next three numbers represent the width of the tire in millimeters, and the next two numbers are the aspect ratio. It represents the height of the tire’s sidewall (the distance between the edge of the rim and the top of the sidewall where it meets the tread-face). The number 75 implies that the side wall is 75% of the width measurement. Speed ratings and load rarely make a difference except for high-speed vehicles and trucks. 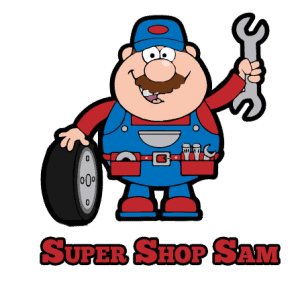 If your current car is shod with anything more than 17-inches in diameter (the last two numbers of the size of your tire) or boasts an aspect ratio below 65, you can save a significant amount of money by checking out the available optional sizes. 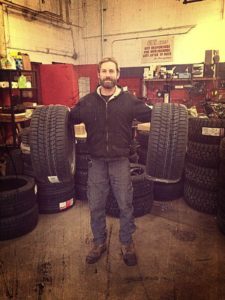 With the advice from a certified tire dealer, you can select a relatively narrower tread (much better in slush or snow) with a taller sidewall (usually cheaper) but with the similar overall circumference. In fact, this last measurement is critical with the modern cars and their multiple on-board computers. If you select the wrong circumference (anything smaller or larger than three percent of the original size) you may run into several problems from transmission shifting faults to anti-lock brake failures, and so on, not to mention an inaccurate odometer and speedometer. If changing the tire’s diameter is being considered, remember you will also need to price replacement rims. Most snow tire users go with this choice to take advantage of reduced annual change-over expenses ($320 vs. $60 annually on average). Besides, winter rims lower the risk of damage to the rim or tire during mounting and dismount procedures, and they’ll keep your alloy summer rims from the ravages of winter grit and salt. Sorting through the prices and choices is usually difficult without a baseline for the comparison. Most tire manufacturers don’t provide the prices on their websites and few independent shops, or national/regional chains provide this data. Two glaring exceptions are TireRack.com of the United States and the Canadian Tire. By checking the CTC website, you can determine the price range of many of the standard winter tires. You should take the figures from TireRack with a huge grain of salt. Apart from the shipping costs and exchange rate, tires and other car parts are priced differently between the United States and the Canada. 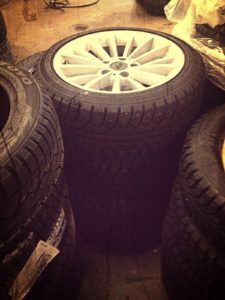 Knowing an average selling price is important to choose if you are getting the most from a “Buy 3 Get 1 Free” advertised special (the most popular tire promotion). Many retailers only apply a 20-25 percent markup on the tires; thus, some will quote the MSRP of the tire company as the selling price for the first three. Be careful since this can be an inflated figure leaving insignificant or no benefit to the customer wishing to maximize the advertised special. Therefore, it pays to ask for the price your retailer is using for the Buy 3 Get 1 promotion. The top-rated winter/snow tires (as selected by Automobile Protection Association) are Michelin X-Ice 2, Bridgestone Blizzak, Toyo Observe Gsi5, and Nokian Hakkapeliitta. 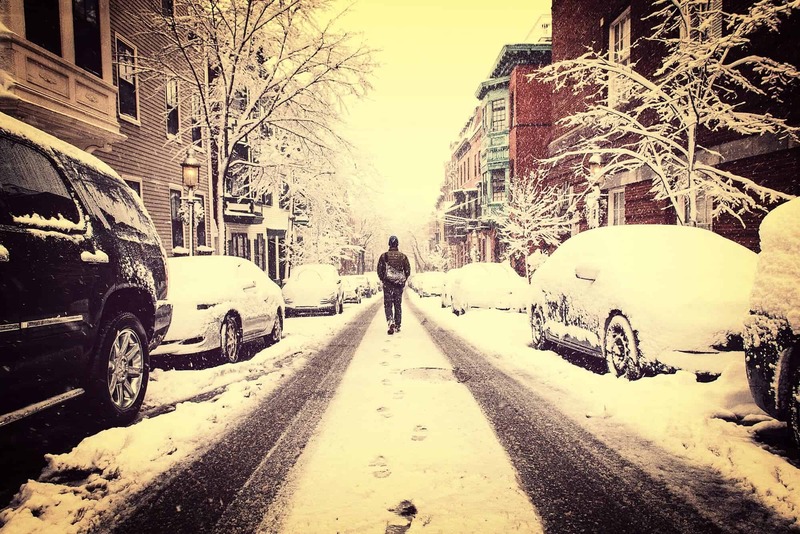 Currently, there are two basic categories of winter tires: traditional snow-treads and ice radials. The traditional snow-treads have the large block design with deep, broad grooves to keep ice and snow from packing up in the tire tread while ice radials have the very smooth profile (almost summer tire-like). Unless you often travel down a steep snow-covered road, always use ice radials. They’re significantly quieter and have minimal impact on the fuel mileage while still offering excellent control and traction. Also, some dealers sell winter tires at affordable prices. First, you should avoid multi-fit rims which are made to fit more than one car model. These are hardly hub-centric that means the wheel studs support the weight of the car on the multi-fits instead of the hub itself. In a pot-hole or curb-bump hit, this can cause damage to the wheel fastener. Also, most of these multi-fits need special wheel nuts or adapter/spacer plates. Direct fit rims are readily available for the mainstream cars from various sources. Many rims cost $70 to $100 for 17-inch and even smaller sizes. Do not forget to check the OEM dealerships when shopping, since several automakers have gotten very competitive in their steel rim pricing nowadays. Most car owners discover when they trade up to a newer car which their winter rims and tires will not fit. They usually sell these items online since few have the room to store them. In most cases, these prices are less than half of the retail. But be careful. Unless a seller can affirm that the rims will fit your car, you must dry-fit one to ensure you are purchasing the right size. Confirm the size of the tire is correct and check for dry-weather cracking as well as tread-wear. Small cracks which are not deep enough to expose the light colored sidewall support cords under the rubber are okay.